Migration Process To GST : GST Migration starts From 15-November-2016 for Gujarat State, Once Dealer will login on Gujarat Commercial Tax Department Portal using his Login Id (VAT TIN) and credentials, It will show pop-up window which will show details of GSTN Provisional Id and Temporary password on screen to enrol on GSTN Portal . Enrolment Process schedule for Dealer of Gujarat State is from 15-Nov- 2016 to 30-Nov-2016. Here we collect other complete details of Migration Process To GST for free download pdf file link click here. Viewing System generated GSTR-3, payment of taxes using net banking and submission of GSTR-3. Migration Process To GST : GST Migration of registration of all the existing registrant under Central Excise, Service tax and VAT began from 8th November 2016 starting from the state of Puducherry and Sikkim. For every state schedule for enrolment is given and initially taxpayers who are registered in respective State Vat law are allowed to migrate themselves in GST at common GST portal. Enrolment of existing taxpayers who are registered under Central Excise or Service Tax Law but not in State Vat Law can apply for migration from 1st January to 31st January 2017. Migration Process To GST : Now one obvious question will be raised as to whether the migration of existing registration into the GST has any legal validity? Section 166 of Revised Model GST law talk about migration of existing taxpayers to GST. According to Sub-section (1) to section 166, after enactment of the GST Act, every person registered under existing law (i.e. Central Excise, Service tax and VAT) and having valid PAN shall be issued a certificate on provisional basis for the period of 6 months. Migration Process To GST : After successful creation of user Id & Password, taxable person need to login into GST common portal. After login on the dashboard itself a provisional GST number shall be seen, which shall start with state code followed by 10-digit pan number and 3 more system generated digits. In very first tab taxpayer has to enter various business details. Some details like PAN number, Legal Name are auto populated from the system and rest of the details such as various registration details along with the date of registration as provided under Central Excise, Service tax, VAT, Luxury Tax, Entertainment Tax, IEC, CIN number etc. shall be filled manually. In addition to above a scanned copy of proof of constitution i.e. Shop Act License/Factory License in case of individual, Partnership Deed in case of Partnership Firm, or Registration Certificate/Proof of Constitution in case of Society, Trust, Club, Government Department, Association of Person or Body of Individual, Local Authority, Statutory Body and Others etc.) shall be attached. Scanned copy of proof of constitution should be in jpeg or pdf format with maximum size of 1 MB. Migration Process To GST : In this tab details (of Proprietor, Partner, Managing and Whole Time Director, Karta) such as Full Name, Full Name of Father/ Husband, DIN Number, Date of Birth, Mobile Number, Gender, Designation, PAN Number, Aadhar Number shall be entered. In addition to above details of Residential Address (Building/Flat No, Name of Premises, Road, Locality, State, District, Pin code etc.) and Scanned copy of Photograph (In JPEG format only with maximum size of 100 KB) is also required to be uploaded on common portal. It is important to note that details as specified above such as name, date of birth etc. should be matched with the details mentioned on PAN Card. Validation error may occur in case of mismatch. All the details as stated in point no 3 above are also common for authorized signatory. Apart from that a scanned copy of board resolution or authority letter evidencing appointment of such person as an authorized signatory along with acceptance letter shall be uploaded on GST common portal. For this purpose, board resolution or authority letter along with acceptance letter should be in pdf/jpeg format with maximum size of 100KB. Separate board resolution or authority letter should be made for each signatory. Maximum 10 people including Proprietor, Partner, Managing and Whole Time Director or Karta, as the case may be, can be appointed as an authorized signatory for such business entity. (a) For Own premises –Any document in support of the ownership of the premises like Latest Property Tax Receipt or Municipal Khata copy or copy of Electricity Bill. (b) For Rented or Leased premises –A copy of the valid Rent / Lease Agreement with any document in support of the ownership of the premises of the Less or like Latest Property Tax Receipt or Municipal Khata copy or copy of Electricity Bill. (c) For premises not covered in (a) & (b) above –A copy of the Consent Letter with any document in support of the ownership of the premises of the Consenter like Municipal Khata copy or Electricity Bill copy. For shared properties, also, the same documents may be uploaded. Additional places includes factory, office, godown, warehouse or any other place where taxable person stores his goods or provides or receives any goods and/or services. All the details as specified for principle place of business are equally applicable for additional place of business also. If principle person send any input/capital goods to job worker for job worker and if he wants to supply such goods after such process from the premises of job worker and if job worker is not registered under GST, then principle has to declare place of business of job worker as his place of business in terms of proviso to Sub clause (b) to Sub Section (1) of Section 55. HSN wise details of 5 top goods should be specified. HSN codes as stated here are the same as stated under existing Central Excise Law. Similarly, details of top 5 services along with the Service Accounting code should also be given under the details of services. For this purpose, service accounting codes are same as stated under existing service tax law. A taxpayer needs to provide top 10 bank account numbers along with IFSC code and Scanned Copy of first page of Bank Statement/passbook of each bank account. Copy of bank statement can be scanned in PDF/JPEG format with maximum size of 500 KB in case of bank statement and 100 KB in case of bank passbook. Migration Process To GST : After filling an application a person can submit the application using Class-II or Class-III digital signature (DSA). Filling of an application with DSA is mandatory for Companies and Limited liability partnership. Taxpayer other than Company and LLP can also file an application by using e-signature option. i.e. by using Aadhar number of authorized person. 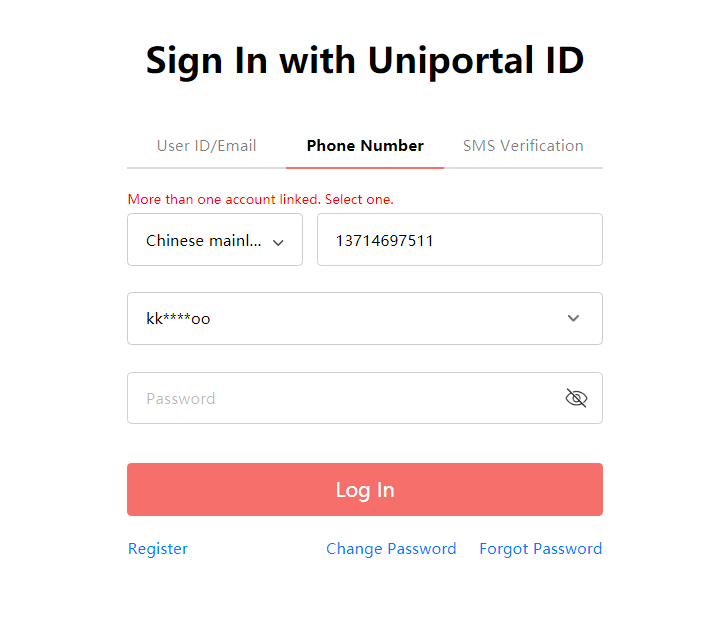 GST Common portal shall send a request using inter-portal connectivity to UIDIA system to send one time password (OTP). UIDIA system shall send OTP to registered email ID & Mobile number registered against such Aadhar number. Before validation of application, applicant must register his DSA on GST portal under register/update DSA. For this he must download Em-signer application, which is available on GST common portal. Apart from this Windows 32/64 bits OS must be installed in to his computer system. Applicant should also see whether browser version which he is using is 10+ in case of Internet Explorer, 49+ in case of Google chrome, and +45 in case of Mozilla Firefox. All existing taxpayers registered under any of the Acts as specified in Q1 will be transitioned to GST. Enrolment for GST will ensure smooth transition to GST regime. The data available with various tax authorities is incomplete and thus fresh enrolment has been planned. 4. Why do I need to enrol myself as a user on the GST System Portal? GST System portal has been created for this purpose as no paper based enrolment will be allowed. You need to enroll as a user on the GST system portal, so that you may be enabled as a registrant for GST Compliance requirement viz. return filling, tax payment, etc. 5. When do I need to enrol with the GST Systems Portal? The taxpayers registered under any Acts as specified under Q1 are required to enrol at GST System Portal. State VAT and Central Excise can start enrolling from October, 2016 on GST System Portal as per plan indicated on GST System portal. The taxpayers registered under Service Tax will be enrolled on a later date for which separate intimation will be sent. 11. What information should be readily available with me before I begin to enrol with GST? 14. I have not received my username and password to apply for enrolment with GST. What do I do now? No, you should not give the email address and mobile number of Tax Professional or anyone else. You MUST provide the email address and mobile number of the primary Authorised Signatory appointed by you or yourself. All future correspondence/communication from the GST System Portal will be sent on the registered mobile Number and email address only. 16. Which details are prefilled in the enrolment application for enrolling with GST? Email Address and Mobile number of primary Authorised Signatory entered during enrolling with GST System Portal. 17 . How to find out my State Jurisdiction? 18. What is the format of ARN? 19. Can application for enrolment get rejected? Yes, the application for enrolment with GST System Portal can be rejected in case you have furnished/uploaded wrong or fake or incorrect document with your DSC or E-Sign. However, the applicant will be provided reasonable opportunity of being heard where applicant taxpayer can present his/her viewpoints. 20. Can I make amendments after I submit the enrolment application? You can make amendments to the enrolment application from appointed date on wards. 21. Can I change mobile no. and email id as given at the time of enrolment? You can change mobile no. and email id as given at the time of enrolment application after appointed date on wards through amendment process. 22. When will I get Provisional Registration Certificate? 23. When will I get Final Registration Certificate? The final Registration Certificate will be provided to you after verification of documents (within 6 months) by proper officer(s) centre/state of concerned jurisdiction (s) after appointed date. I f you want other complete details about Enrolment of the Existing Taxpayer on the GST System Porta. We collect pdf file free download lick click here.